This natural homemade mosquito repellent is great for mosquitos, flies, and other annoying warm season bugs. Apply your DIY mosquito repellent with confidence. If you are heading outside for picnics, sporting events, yard work, or relaxing on the patio, chances are you’ve seen a bug or two already. While covering up is the best option for decreasing bug bites, it’s not always realistic. After all… summer can be HOT! In the past I have reached for cans of commercial bug spray lying around during cookouts and camping excursions; I figured it was better than dancing around like a wild turkey, slapping myself, and shouting at bugs while friends shot strange looks at me. However, I never felt quite right about it. Matt has boycotted poisonous DEET solutions for years in favor of essential oil solutions, with great success. The more I educate myself about DEET and other chemicals, the more I’m convinced I have to be proactive about finding better alternatives. (If you’re new to the DEET issue, you might be interested in reading this article.) I try to treat my skin with the respect it deserves as it performs the difficult job of protecting my insides. Thank goodness I have discovered the power of essential oils and their ability to deter bugs! 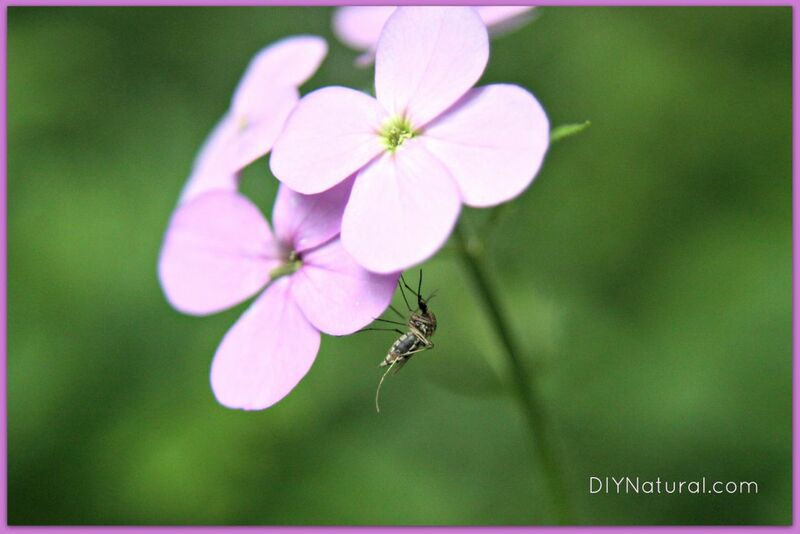 Before you get desperate and spray on commercial bug sprays (that may contain some nasty chemicals), take some time to consider the better alternative; a natural DIY mosquito repellent that smells wonderful is effective and takes only minutes to whip up. The main ingredient in our homemade mosquito repellent is lemon eucalyptus oil. Which the CDC and EPA agree are safe and as effective as DEET, though not as long-lasting. Further, citronella, lemon, and eucalyptus oils are common insect repellents and are registered by the EPA and have been approved for topical use in humans. Lemon eucalyptus oil has been found to be the most effective natural DIY mosquito repellent. Studies have found that the efficacy of this particular oil falls third in line, behind DEET and picaridin. It is the only natural repellent that is registered with the U.S. Environmental Protection Agency (EPA) and recommended by the Centers for Disease Control and Prevention (CDC) for effectiveness and human safety. Different oils repel different bugs, so it’s best to use a combination of essential oils to ward off several types of biters. Don’t let a fear of being eaten alive keep you inside this season. Instead, invest in a few hard-hitting essential oils and test out this natural alternative to chemical sprays. Add carrier liquids to a small spray bottle (3 or 4 oz. works well so there is room for shaking). Add essential oils and shake well before each use. Natural bug repellent will need to be reapplied every few hours for maximum effectiveness. This natural homemade mosquito repellent is great for mosquitos, flies, and other annoying warm season bugs. Tweak to your liking and apply with confidence. As always with essential oils, women who are pregnant or nursing should consult a health practitioner before using. Extreme caution should be used when using essential oils on young children. Always perform a patch test to check for an allergic reaction before using essential oil for the first time. Always label homemade products well. Dark-colored bottles work best for products containing essential oils. Store in a cool, dark place when not using. Note: This natural homemade mosquito repellent is great for mosquitos, flies, and other annoying warm season bugs. Tweak to your liking and apply with confidence. Mi Young Lee. Essential Oils as Repellents against Arthropods. PubMed. October 2018. Cathy Wong. Which Natural Mosquito Repellent Works Best? VeryWellHealth.com. December 2017. Insect Repellent and Prevention of West Nile Virus. CDC.gov. December 2018. Natural Homemade Mosquito/Insect/Bug Repellent was written by Betsy Jabs.